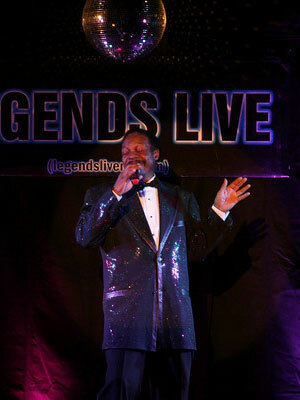 Born in Miami, FL, Cal Roberts began performing in 1957 and was drafted into the U.S. Air Force just three years later. Cal was voted the top vocalist and M.C. in the U.S. Air Force from 1960-1961. After being discharged in 1963, Cal continued with his singing career opening up for acts such as; Della Reese, Sarah Vaughn, Ray Charles, Little Richard, Kenny Rodgers, Frankie Valli, Sister Sledge, Joe Tex, Jerry Butler, and many more. Cal joined "The New Platters," in 1964 and toured the world with them until 1978 when he retired. Cal is now retuned and has been performing since 1999!